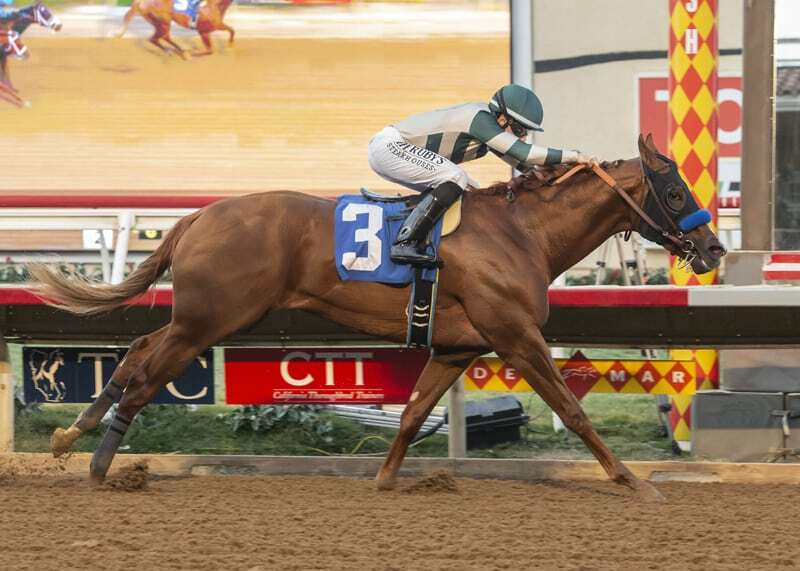 A field of six 3-year-olds will take aim at Saturday’s Grade 3, $150,000 Robert B. Lewis Stakes at Santa Anita. 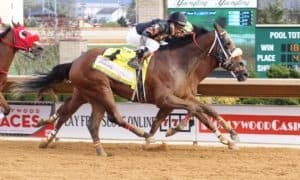 The race serves as a Kentucky Derby Points Race, with points distributed to the top four finishers on a scale of 10-4-2-1. It will be shown live on FOX Sports Saturday At The Races, airing on FS2, on their first show of the season. 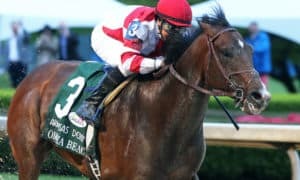 The 2 1/2-hour program will also feature the Grade 3, $200,000 Withers Stakes from Aqueduct and the Grade 2, $350,000 Holy Bull Stakes from Gulfstream Park. The Robert B. Lewis Stakes will go off as race six, with a local post time of 2:30 PM PT. Like normal, trainer Bob Baffert will be tough to beat in this race, brining in Grade 3 Bob Hope Stakes winner Mucho Gusto. In both the Bob Hope and his debut maiden special weight score, Mucho Gusto was a wire-to-wire winner. In his last start, the Grade 1 Los Alamitos Futurity, he was on the lead once again before settling for second behind stablemate Improbable. Jockey Joe Talamo will retain the mount. Mucho Gusto in not the only Grade 3 winner in the race. 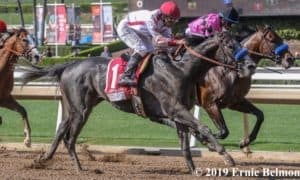 The Jerry Hollendorfer-trained Gunmetal Gray will go for two in a row after winning the Grade 3 Sham Stakes last time out. The two big headliners have completely different running styles, with Gunmetal Gray most likely dropping to last early on in the race. 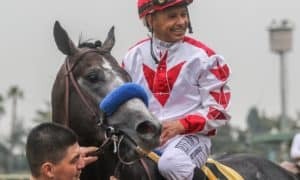 At Santa Anita, Gunmetal Gray has never finished worse than second in two starts, which includes a Grade 1 placing in the American Pharoah Stakes. The weather could end up being the biggest story of the weekend. 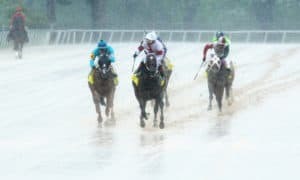 Heavy rain and cool temperatures are in the forecast, especially on Saturday, which caused Santa Anita to move a few turf stakes races to a different day. There is no doubt the track at Santa Anita can play strangely when it is muddy or sloppy. Expect that to play a major factor all weekend long. 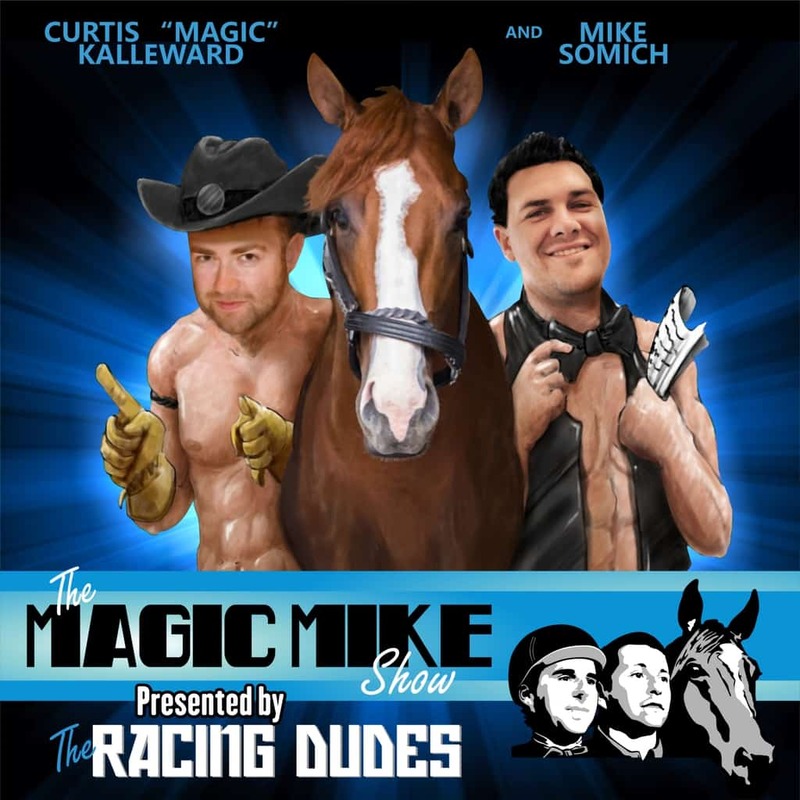 The full field from the rail out includes: Kid Cantina, Magnificent McCool, Easy Shot, Gunmetal Gray, Mucho Gusto, and Nolo Contesto. #5 Mucho Gusto – Bob Baffert will try to rebound in this race after Coliseum flopped in the Grade 3 Sham Stakes. 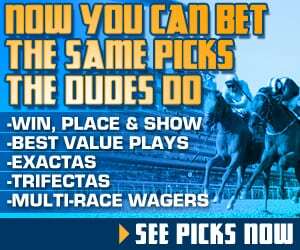 He brings a more experienced runner into this event with a horse that looks to have a significant pace advantage over the rest of this field. He could take this field wire to wire, much like he did in his maiden special weight and Bob Hope wins. If he handles the expected off track, then he will be tough to beat. #4 Gunmetal Gray – The Grade 3 Sham Stakes winner will try to keep it rolling here. He has a solid turn of foot; however, he can probably be described as a grinder. An off track and a hot pace might really help him because he will need the front runners to be softened up when he makes his move. There does not look to be as much pace in this race as the Sham, though, which will hurt his chances. #6 Nolo Contesto – The emerging Nolo Contesto makes this a three-horse contest. 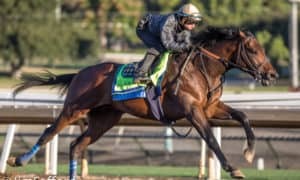 After struggling on debut, this John Sadler-trained colt made great strides by stretching out and winning a maiden special weight while going 8 furlongs at Santa Anita in his second race. The speed figure for that contest makes him somewhat competitive with the top two, and if he continues to progress, then he can make some serious noise in this race. #2 Magnificent McCool – This horse was all over the place, hitting the board in three out of four starts before finally breaking his maiden last time out on the turf at Santa Anita. That is the good news. The bad news is that he never really threatened the winner in any of those dirt losses. 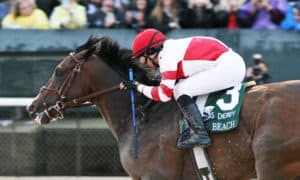 Trainer Doug O’Neill has been known to pull some upsets in the past, though, and this horse has shown some talent from the beginning. He’s the only longshot in this race that has a shot. 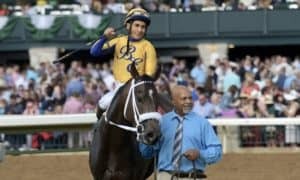 #3 Easy Shot – After breaking his maiden against claimers, he was quickly thrown to the wolves last time out in the Grade 3 Sham Stakes, where he was a well-beaten fifth. That is exactly where we have him landing in this spot at well. He must show drastic improvement in order to have a chance in these types of races. #1 Kid Cantina – This will be a major jump up in class after running against starter allowance company last time out. He is also winless in two dirt starts. This looks to be a big stretch for him.